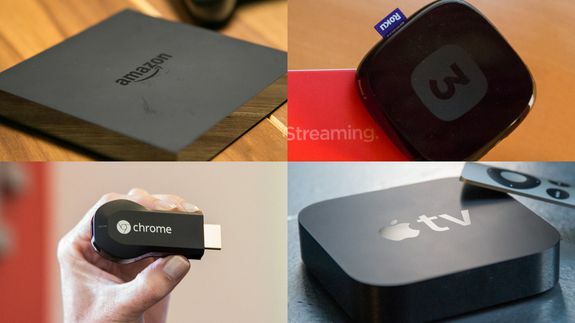 The newly-announced Amazon Fire TV wants to take over your living room with its tiny, flat media box, but with lots of other existing devices on the market, you’ll want to consider all streaming options first before making a purchase. Fire TV — a set-top box, gaming console hybrid — will directly compete against streaming devices like Apple TV, Roku and Google Chromecast, but it will also take on gaming consoles such as Xbox One, PlayStation 4 and even the Android-powered Ouya. Tagged with Amazon, amazon-fire, apple, apple tv, chromecast, factor, film, Gaming, sports.